I'm still knitting away on my Moonpie Shawl, and it's grown a lot! But now each row is more than 700 stitches long, and it can get a little monotonous sometimes. I like to throw in fun little projects every now and again to keep things interesting. 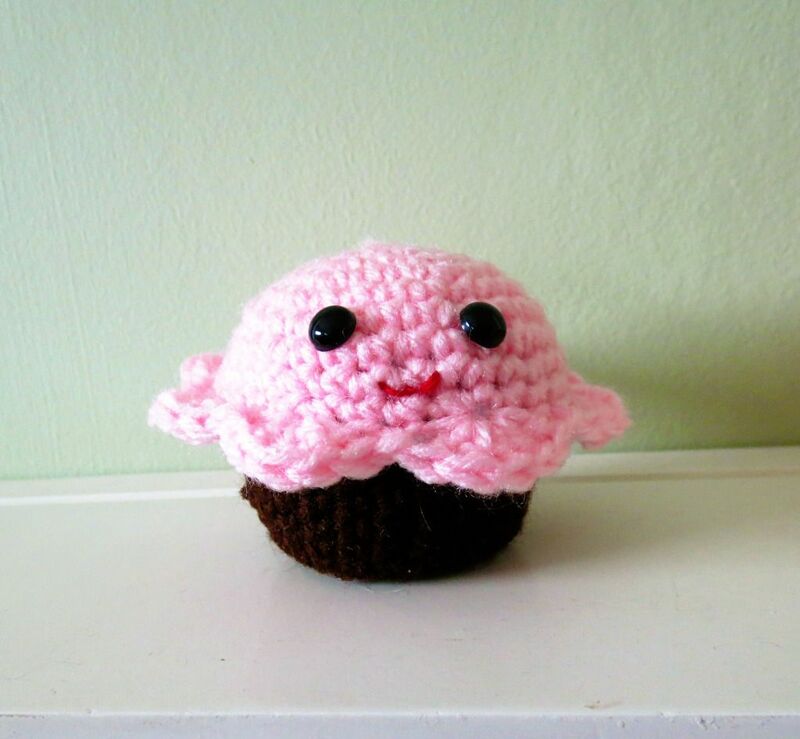 Lately I've been making amigurumi-- crocheted treats and creatures with happy little faces! I'm going to keep making amigurumi and attach fishing line loops so I can put them on my Christmas tree! Aw, thank you, Denise! That is so sweet of you! Oh wow...you made those?! They are so, so cute! 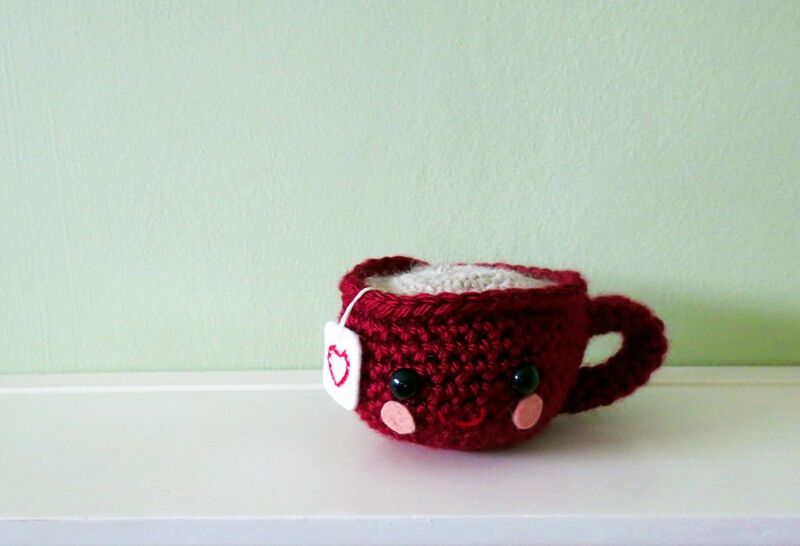 The tea cup is just adorable beyond words. You definitely need to put some in your shop. Heehee, I did make these! I'm so glad you like them! I really should put some in the shop just so they don't take over my craft space!